Because one dog, one parrot and three chickens obviously aren't enough trouble, we brought home a new family member today. It feels almost irresponsible, but the baby bunnies were so cute (especially at 4 weeks! ), and we've wanted one for over a year. Today was obviously the day. We named her Quiana, pronounced Key-Ana. (Jeff wanted to name her something "weird.") One source said it was a rare English name, and meant silky. She is very soft and silky so it seemed appropriate. 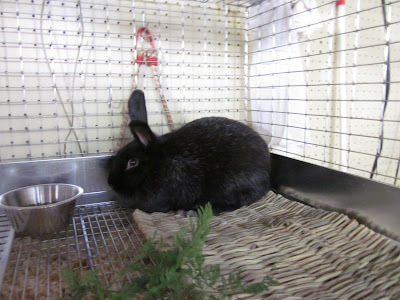 Her breed is silver fox and we got her from a friend who breeds them (Rainy Day Rabbitry in Canby). The bunny is 10 weeks old and pretty mellow. She's handled all the holding and the dog attention quite well today, so hopefully she'll fit in well with this odd family of ours. She's all outfitted with a new indoor cage from a local manufacturer, Quality Cages. We just barely made it in before they closed today. 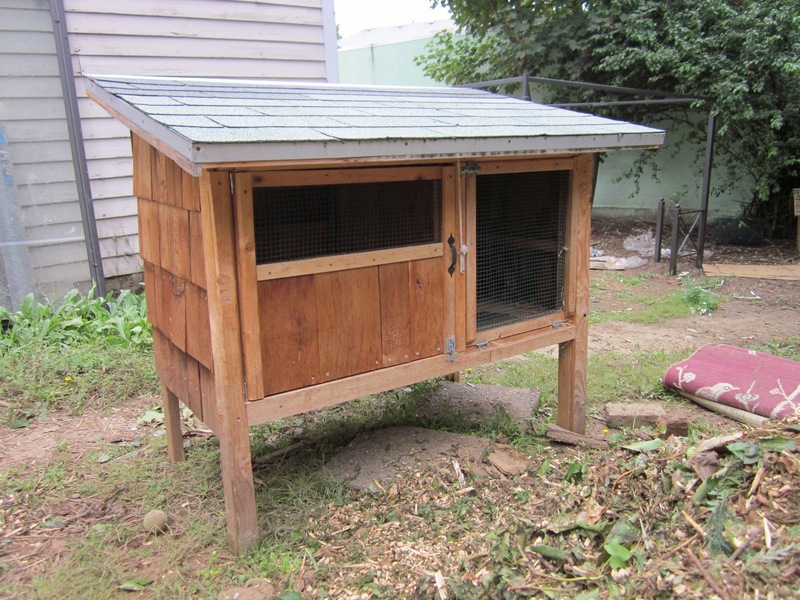 We also have an outdoor hutch—purchased off craigslist, of course—for nice weather days. 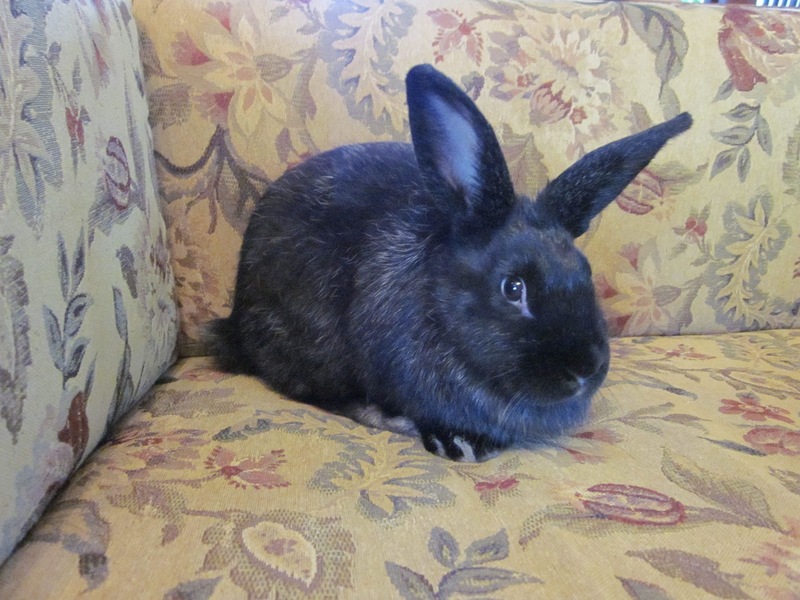 My brother has a bunny, too. His name is Porcini...he was found living under the front steps of a house with some of his siblings...like mushrooms. His siblings are named Shiitake, Portobello, and Crimini.